This juxtaposition of tower and corner, of church and apartment building is shaping a unique urban ensemble with a major impact on the further development of Kurfürstenstraße. With its architecture following the street, this corner building symbolizes a piece of reconstruction of the city at a central position. The corner is one important part of it. Another one is a row of houses with oriels leading from both sides to the corner. It is the sequence in which every building forms a clear unit with entrance, oriel, loggia, balcony and a set back attic floor; With uniform, large windows and a subtle color differentiation, the houses form a harmonic series. Particular utilization of material elements, both in the church tower and the building entrances, in a subtle way refer to the dominant red-brick church being the focal point of the urban building ensemble. Apartments of different sizes and qualities are located both to the street and the courtyard and garden. Together with the characteristic architectural elements and as a modern holistic concept, this residential quality places the ”Corner building Kurfürstenstraße“ in the tradition of historical Berlin townhouses which you can also find in the nearby and surrounding areas. 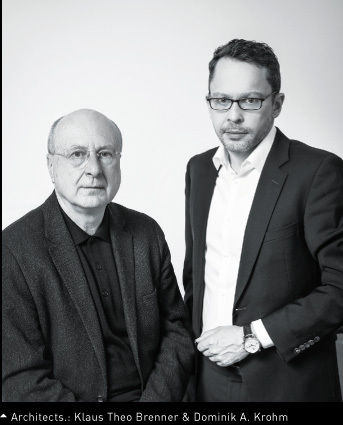 Architect firm KLAUS THEO BRENNER – STADTARCHITEKTUR, together with associate partners Klaus Theo Brenner and Dominik Krohm, is specializing in city architecture. The aim is to develop intelligent and holistic concepts of city architecture which both strongly and distinctively relates to the profile of the location and its planning, organizing and implementing. In addition to the project conception and planning services, a particular emphasis is given to the work in strategic planning – always in line with the client and the city as with the architectural concept and the specific and tailor-made user requirements of the individual projects. Architect firm KLAUS THEO BRENNER – STADTARCHITEKTUR is the center of operation between research and development, strategic planning and the construction of city architecture. With its operational headquarter in Berlin, it has established a reputation as one of the leading firms in Germany for city architecture. 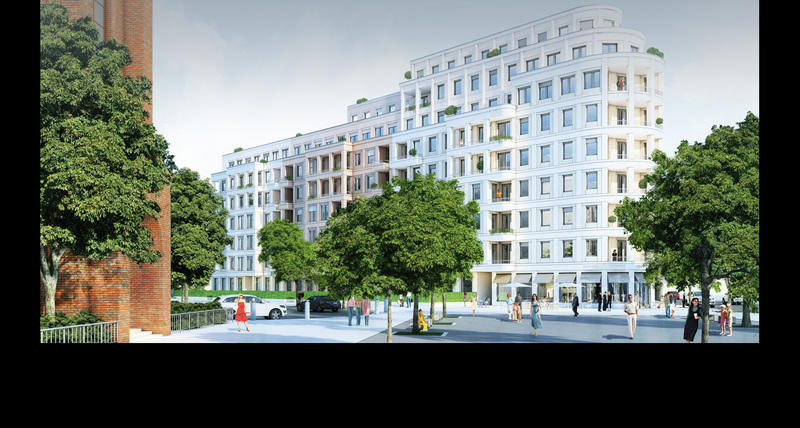 The residential project of Carré Voltaire at the streets Kurfürstenstraße 136/ Else-Lasker-Schüler-Straße is located within a quarter called Kielgan-Viertel. Today, Kielgan-Viertel is part of the nearby quarter Lützowviertel between Nollendorfplatz and Lützowstraße. It was named after Georg Friedrich Kielgan (1807-1876), a landlord who owned several estates in this area. In 1867, he began to build a classy neighborhood for well-off residents. 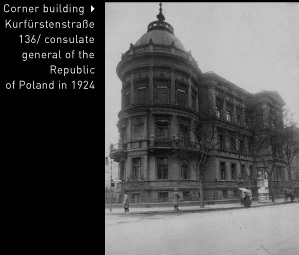 In the 1920s, the splendid villa at Kurfürstenstraße 137 was sold to the Polish embassy. 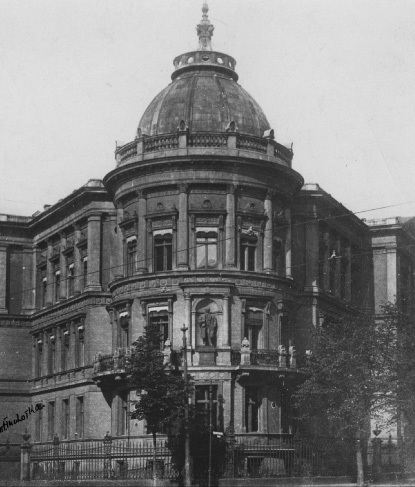 During the war, the building was so seriously damaged that in 1958, it was razed to the ground by blasting. In the 1960s the property was temporarily used as an amusement park of the Berlin-Schöneberg’s district fair.